Size: S/M, Color: RED/BLACK is currently out of stock! Size: XL, Color: RED/BLACK is currently out of stock! Size: XS, Color: RED/BLACK is currently out of stock! 2 PC. 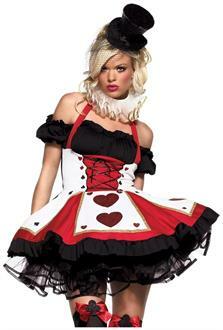 Pretty Playing Card, includes peasant top dress with corset waist and neck piece.